1848! 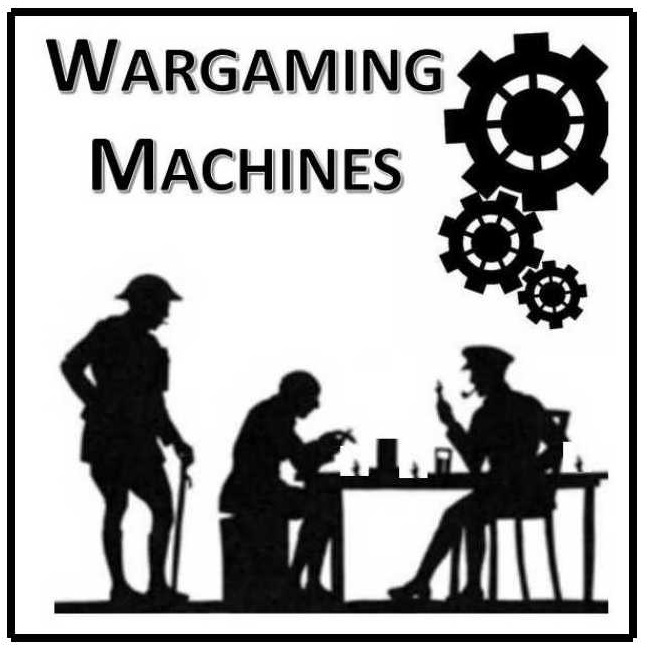 is a game system for recreating the many revolutions which took place during the "year of revolutions" using tabletop miniatures. Designed to be played with 25mm/28mm miniatures, it is similar to many popular skirmish-level games, but has some significant differences as well. The biggest of these is that it is played using a PC, tablet, or smartphone. A game master runs the games interface on the device, and is in charge of playing all of the government forces - players take the part of revolutionary leaders, struggling against their absolutist oppressors. The democratic revolutions which swept Europe during the years 1848 and 1849 are a fascinating historical subject, but - aside from such conflicts as the 1st Italian War of Independence and the Hungarian War of Independence - do not provide subjects which lend themselves well to traditional types of historical miniatures wargames. Revolutionary struggles are often characterized by relatively small numbers of ill-equipped troops facing much larger numbers of government soldiers, who are better trained and supplied. The one-sided nature of such struggles does not lend itself well to competitive play. As a result, they have often been neglected by wargamers, while other 19th century European conflicts such as the Franco-Prussian War have grown in popularity. 1848! uses a different approach to simulating these revolutions on the tabletop. Players - while competing against the game system and each other - are not playing forces on opposing sides. Instead, they take the part of one of the leaders of the many historical uprisings occurring during this period, such as Garibaldi in the siege of Rome, Frederich Hecker in the Baden Revolution, etc. They must try to raise the citizenry in the name of their cause, and to incite the government troops to mutiny. Government supplies, documents, and money must be siezed, and political prisoners freed. 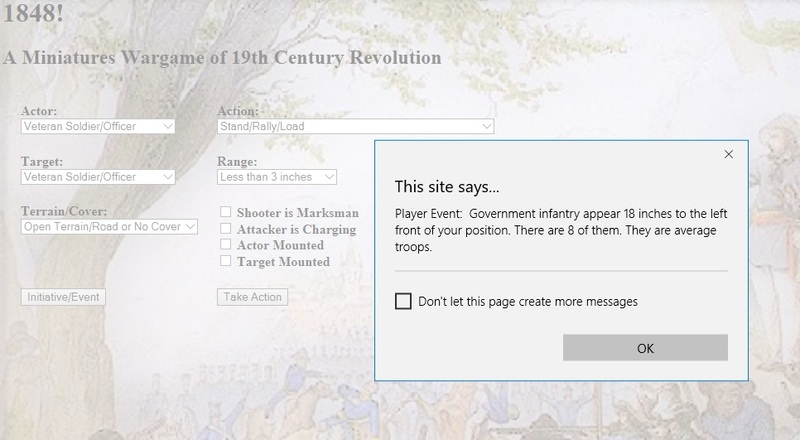 The use of a simple computer-assisted games interface allows for external events to have a significant impact on play, offering participants many opportunities to further the revolutionary cause, but presenting them with corresponding threats as well. Against this background, game masters can design scenarios as for other games systems, giving the players an overall objective against a known enemy force ("Storm the Palace!"). Unlike traditional computer-assisted miniatures systems, the games interface is simple, designed to be run on a tablet or smart phone. It has a single screen, which is easy to learn and operate. Once players understand the basics of the game, it is extremely quick to learn, being similar in general terms to paper-and-dice games with which most players will be familiar. The game is designed for a game master and one to three players, but it scales well for convention and club play - larger games can simply employ an additional game master running the games interface on a second device. Because it pits players against the device, it is also a good system for solo play. As a period to wargame, the 1848 revolutions are excellent, offering a wide range of colorful uniforms and troops in a number of different settings. 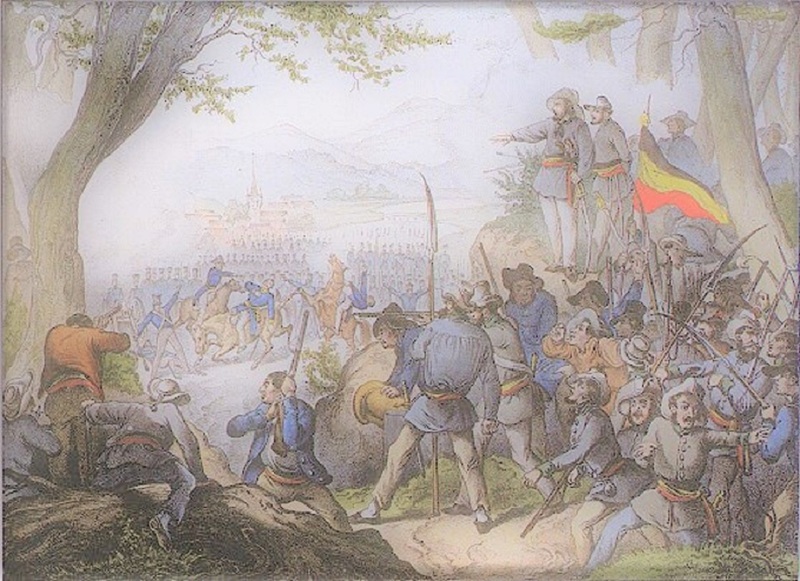 At the same time - falling in the period between the Napoleonic Wars and later European conflicts like the Crimea, the Franco-Austrian War, the Austro-Prussian War, and the Franco-Prussian War - many miniatures for both earlier and later conflicts can be used. Some popular periods such as the American Civil War also offer figures which accurately depict 1848 revolutionaries and their foes. Because 1848! uses a relatively small number of figures (around 100 figures is enough for all but the largest games) it is easy to get into the period without spending a fortune. Individual basing allows the same figures to be used for other popular skirmish games for the period such as Sharp Practice, too.